This Quadrupole mass spectrometer is a fast, on-line atmospheric pressure gas analyses that is capable of monitoring a variety of different gases and gas mixtures using one single analyzer. This atmospheric gas monitoring system has a bench-top configuration making it a versatile and convenient. With a wide dynamic tracking range (ppb to percentage levels) of gas compositions, these spectrometers have a speed of up to 250 data points per second. Heated silica capillary inlet guarantees rapid responses to changes in gas compositions. Are a fully automated instrument that conduct a complete array of highly precise chemical adsorption and temperature programmed reaction studies. This analyzer will give the researcher the ability to obtain valuable data relating to the physical properties of catalysts, catalyst support and a range of other materials. 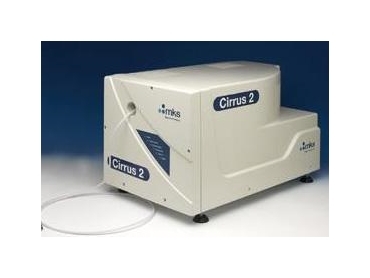 These automated high-pressure catalyst characterization systems prepare and analyze samples at elevated pressures of up to 1000 psia and at temperatures from –100 to 1100° C.
The Cirrus 2 system will enable the AutoChem II and AutoChem 2950 HP to function as a multi component micro reactor. The software in the Cirrus 2 includes Process Eye Professional, Recipe Wizard and the Micromeritics/ Cirrus interface software.